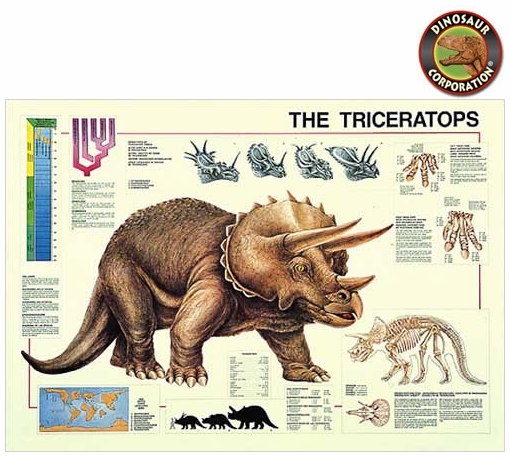 The Triceratops poster will definitely add a vibrant prehistoric mood to any bedroom, office or playroom. This superior quality poster will delight and educate all at the same time. * Printed with an offset lithography press with a coating to protect the inks.